Easter Break - No School April 19th - 22nd. Harding County School District has an opening for the Head Maintenance position. This position includes salary and benefits. Contact Superintendent Josh Page if interested. The March 2019 school board meeting has been moved to Monday, March 18th at 5:30 pm. The mission of Harding County School’s faculty, staff, students, parents, and community is to provide a safe and challenging learning environment that enables all students to maximize achievement through a variety of educational experiences. Establishing a Foundation for Future Endeavors. Smarter Balanced Assessments are aligned to the Common Core Standards and provide a yearly check of progress in math and English language arts. Smarter Balanced provides feedback to help teachers and students succeed. Grades 5, 8, and 11 participate in the South Dakota Science Assessment, which measures mastery in life, earth, and physical science. There are 3-50 minute testing sessions. There is not a time limit for the tests. Results are mailed after school starts in the fall. In the future we plan to mail results with the final report cards at the end of the year, if the results are reported at that time. The alternate assessments are for students with cognitive disabilities who use Core Content Connectors. They measure academic achievement. The length of time needed will vary for each individual who takes this test. Results are mailed after they are reported in the fall. Students in grades 5, 8, and 11 who qualify to take alternate testing participate. Results are mailed after school starts in the fall. The NCRC measures practical skills for workplace success in areas of workplace documents, graphic literacy, and applied mathematics. This assessment takes approximately 3 hours. It is given to seniors during the fall semester. This year it is scheduled for September 18th. Students are able to know their results within a week, often the same day of testing. If earned, a copy of the certificate will be mailed home and the certificate will be presented to the student at awards day. 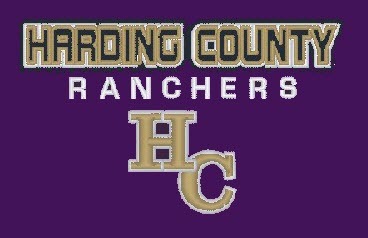 Harding County High School chooses to participate in the NCRC. Three tests (reading, language usage, math) are given at the beginning, middle, and end of the year to give details about specific skill sets students possess. Students are able to easily compare the growth they make throughout the year. Teachers used this test data to design classroom instruction, interventions, and enrichment opportunities for each student. This is a district wide assessment administered within the first 2 weeks of the school year and within the last 3 weeks each semester. Students are able to see their results immediately and teachers review them in class and often at parent teacher conferences. This is the Armed Services Vocational Aptitude Battery, which allows students to look into many career fields. Results will be mailed in the fall semester. This is required for home school students in grades 4, 8, and 11 to measure their academic achievement in math and English. March 25-April 19, it is administered at home. Results are mailed at the end of the school year. This is a national test, sometimes known as “the Nation’s Report Card.” Students in grades 4 and 8 take a test in a predetermined subject. No scores are given at a school level, as the purpose is to determine student achievement on a national level and track progress over time. Harding County School District is not part of the participating sample this year. Post-secondary educational institutes require placement tests, but the ACT is not required by the Harding County School District or the state. It is offered at Harding County School twice a year (April and October test dates).